Kaczynski takes abstract ideas — capitalism, communism, or utopianism --and makes them tangible. He depicts and meditates on the immense political and technological structures and spaces we inhabit that subtly affect and define the limits of who we are and the freedom we as Americans presume to enjoy. Society and the individual, in perpetual tension. 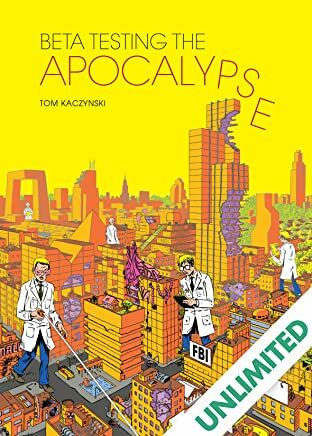 Once you've read Kaczynski's comics, it should come as no surprise to learn that he studied architecture before embarking on a career as a cartoonist. 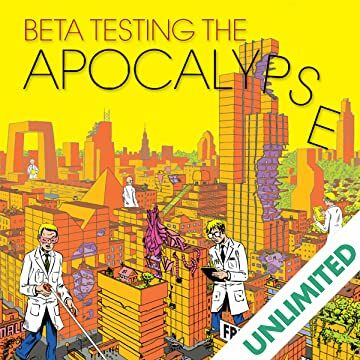 Beta Testing includes 10 short stories, most notably "The New," a brand new story created expressly for this book. It's Kaczynski's longest story to date. "The New" is set in an un-named third-world megalopolis. It could be Dhaka, Lagos or Mumbai. The city creaks under the pressure of explosive growth. Whole districts are built in a week. The story follows an internationally renowned starchitect as he struggles to impose his vision on the metropolis. A vision threatened by the massive dispossessed slum-proletariat inhabiting the slums and favelas on the edges of the city. From the fetid ferment of garbage dumps and shanties emerges a new feral architecture.